Northwest Etch Technology provides professional stainless steel etching for many different types of applications. Our photo chemical machining process is an economical way to create simple or complex parts for small or even very large projects. Why Chemical Etch Stainless Steel? 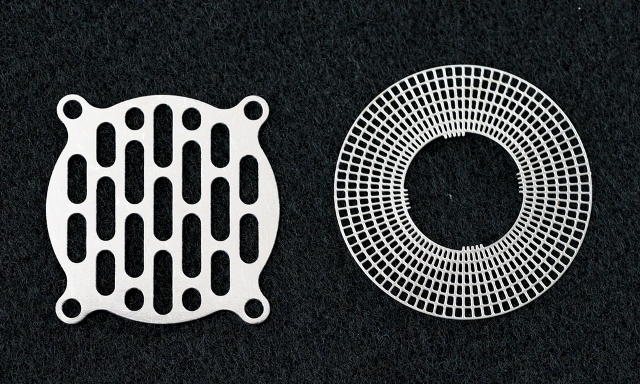 Photochemical Etching is a unique way to shape thin stainless steel parts for precision application. Stainless steel is a strong steel alloy with high corrosion resistance, and this makes it an extremely versatile metal. Chemical etching stainless steel provides a higher part volume than laser cutting steel without the high tooling cost of stainless steel stamping. Stainless steel is the perfect material for medical applications. Besides excellent resistance to corrosion and staining, it is also low maintenance and affordable. 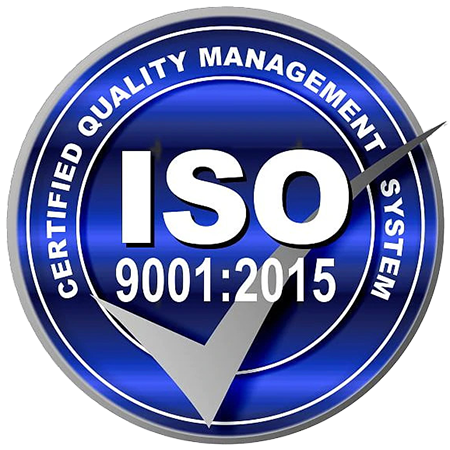 Stainless steel is widely used to promote hygenic operations in hospital and surgical settings worldwide. NW Etch offers stainless steel etching for cities or architectural firms handling projects in schools, parks, business buildings, government buildings and many other applications. We also use stainless in our work on projects with many electronic industrial and food grade applications because of its toughness and conductive properties. Do you have a stainless steel machining project you'd like to discuss? Contact us to upload a drawing or send a quick message! Since 1978, NW Etch has been delivering precision parts and products to 26 states and 10 foreign countries on five continents. 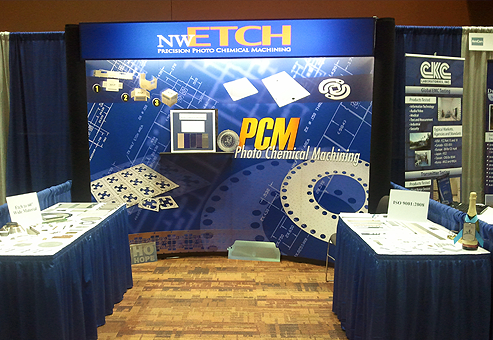 With our capability of laminating, imaging and etching thin metal, NW Etch continues to occupy a unique place in the photo chemical machining market. From a technical, delivery time, and quality standpoint, our etching services will meet your individual needs.